Courtesy of UNIVERSITY PARK LIFESTYLES INC. This Fabulous NEAL FAIRFIELD 111 Custom Home, 4 Beds 3 Baths 3,327 SqFt has had Approx $500,000 in Remodel/Upgrades. The home sits on a very private Homesite with Water Views and a Southern Exposure. The List of Upgrades will be on the MLS Listing. Items include New 2 and 5 Ton A/C Units with WiFi controlled automated thermostats with 12 year warranty. Sub Zero 48Stainless Refrigerator, Freezer Wolf 36 Dual FUEL range. GE Monogram 36Outdoor Grill with Side Burners. Custom 10' Iron Front Doors, Solid Brass Chandelier. Custom Wine Cellar 400 Bottle Redwood with mini split Wine AC System. New Pebble finish Pool and Spa Heater. Travertine Marble Floors in Living Room, Dining Room, Foyer Kitchen, Family Room, Den and Bathrooms. Extensive New Landscaping front side & rear $25,000. Paver Brick Walkway and 3 Car Side Entry. New Exterior Paint. New Culligan Water System. Home Automation System Pool, Security, Lighting, Entrance controlled by WIFI. University Park CC offers27 Holes of Championship Golf, 11 Lighted Har-Tru Tennis Courts and a State of Art Fitness Center all close to the New UTC University Town Center Mall with fine Shops and Restaurants. Next to the MALL is the Nathan Benderson Rowing Center site of the 2017 World Championships. 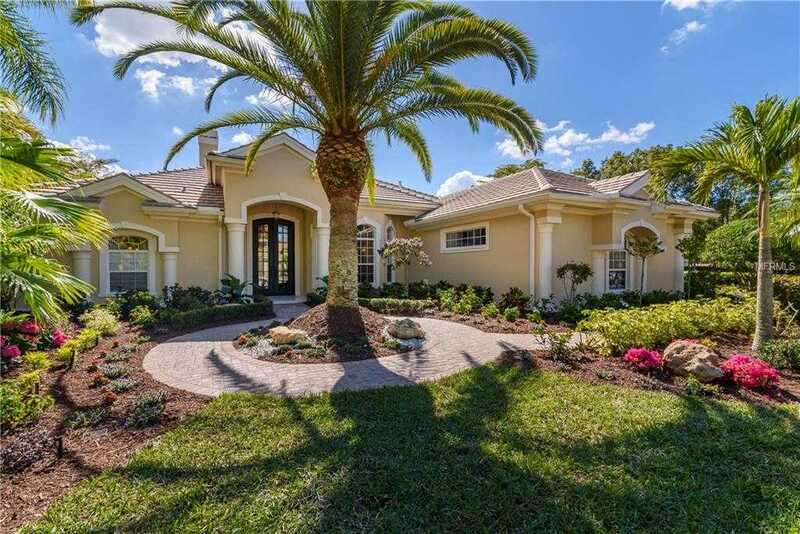 Please, send me more information on this property: MLS# A4426987 – $990,000 – 7322 Chatsworth Ct, University Park, FL 34201.